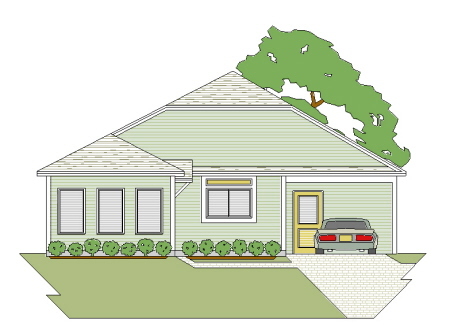 This small 2 bedroom narrow lot ranch home plan is ideal for retirement living a on a budget. The open concept living makes it feel larger than it really is and the handicap bath is there should you ever need it in the future. It also has a storage shed and 2 car carport. This home is on a frost wall. We also have larger versions of this plan. 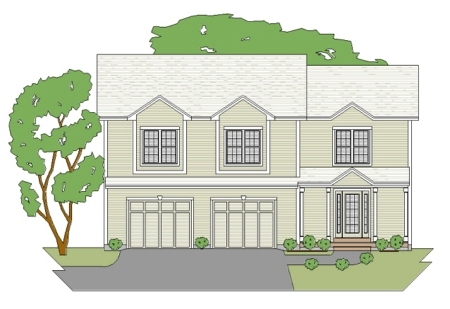 This two bedroom narrow lot home plan is perfect for a young couple starting out. It features concept living and the option of one or more bedrooms in the basement later on. Cute affordable living. 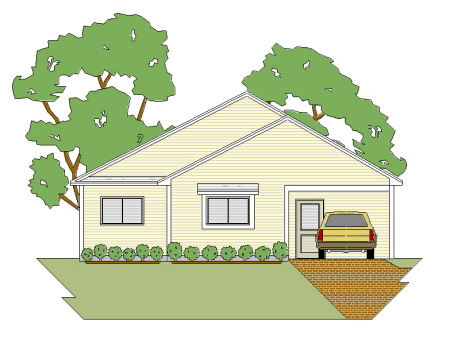 This small 2 bedroom narrow lot ranch home plan is ideal for retirement on a budget. This is a similar to and slightly larger than the Addison A. The open concept living makes it feel larger than it really is and the handicap bath is there should you ever need it in the future. It also has a storage shed and 2 car carport. This home is on a frost wall. 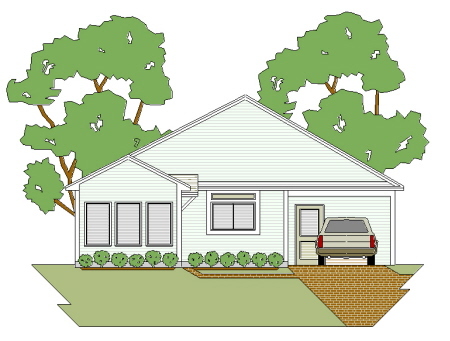 This small 2 bedroom narrow lot ranch home plan is ideal for retirement on a budget. This is a similar to and slightly larger than the Addison A or B. The open concept living makes it feel larger than it really is and the handicap bath is there should you ever need it in the future. This plan also has a den or sun room. It also has a storage shed and 2 car carport. This home is on a frost wall. 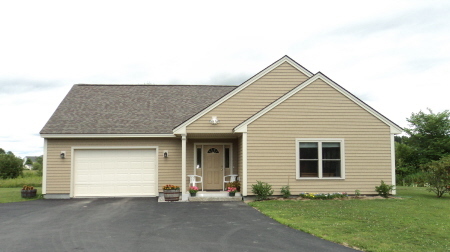 This house features the same open concept floor plan in this small 2 bedroom retirement style ranch home plan as the other "Addison" series, but is a bit larger still. The open concept makes it feel large, and the handicap bathroom is ready should you ever need it. This home plan is built on a frost wall. 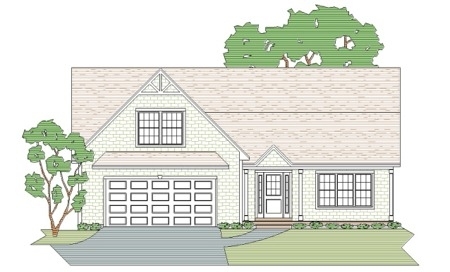 This attractive small retirement ranch home plan is a bit larger than our Brandon A plan. It has the same really nice open concept first floor living plan and an oversize 1 car garage with access to the storage above. This home is built on a frost wall and cement slab. It’ll fit nicely into any retirement development in New England or anywhere else. This 2 bedroom in-law style raised ranch home plan has an open concept living space upstairs that makes it feel a lot larger that it really is. 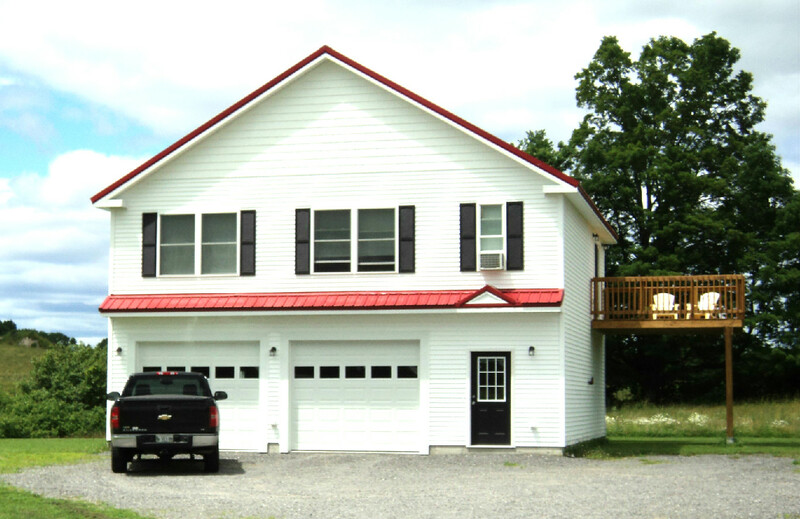 The 2 car garage downstairs offers plenty of room for 2 vehicles and a work area. Affordable to build an inexpensive to maintain. 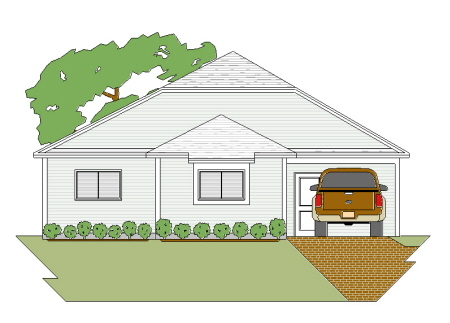 2 BEDROOM RAISED RANCH HOUSE PLAN OVER A 2 CAR GARAGE. This attractive 2 bedroom raised ranch home plan features a 2 car garage entry foyer, laundry and 1/2 bath downstairs and an open concept living upstairs space up with a workable floor plan. If affordability is important to you consider this plan. This cottage style 2 bedroom narrow lot home plan has an open concept kitchen and living room with a double sided fireplace between them. The kitchen has a large pantry. The master bedroom easily fits a queen bed and the guest room has access to the common bath. The 2 car garage works for small vehicles. 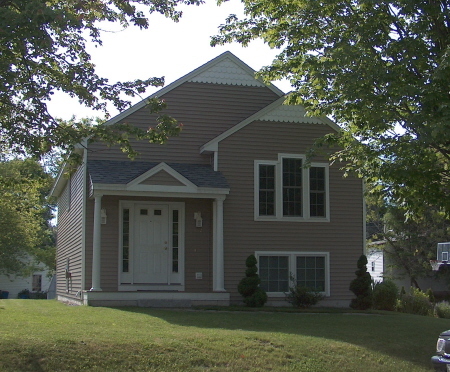 This home plan also has a full basement. 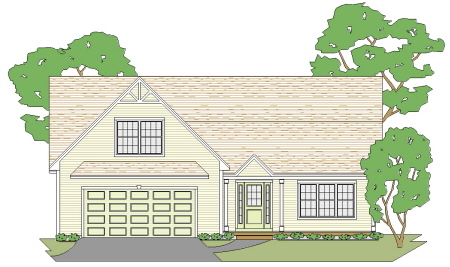 This adorable 2 bedroom retirement style narrow lot home plan is similar to our Greenwood A plan. In addition to the same great first floor layout and decent size garage this plan has the added advantage of a game room or spare bedroom for the grandkids over the garage.